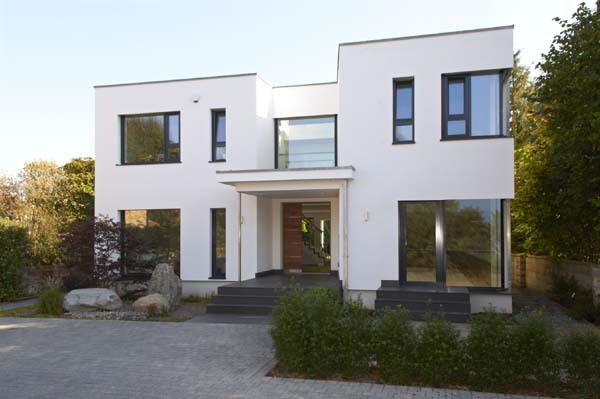 We(Baufritz Ltd) designed this house for a young professional couple and their two young children. Located in a small picturesque town, there were challenging site conditions; the house was to be a replacement dwelling in a conservation area located on flood plain in green belt. 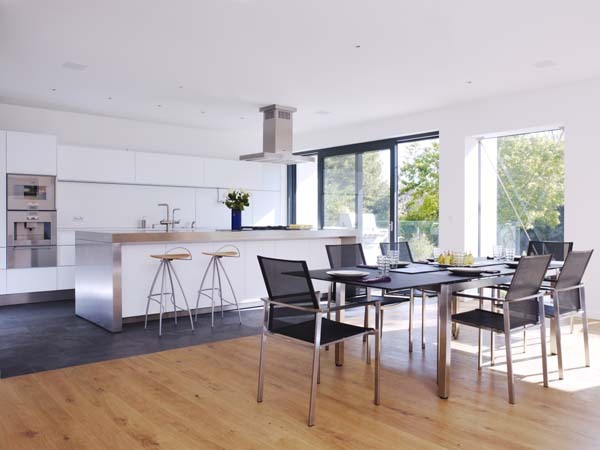 Our brief was to design a light, stunningly contemporary home with a definite ‘wow’ factor with four bedrooms and a separate home office. 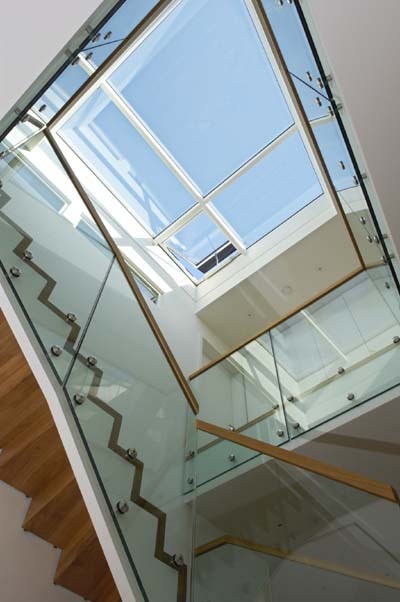 Ecology was important to the client in all aspects of the build including the use of natural materials. 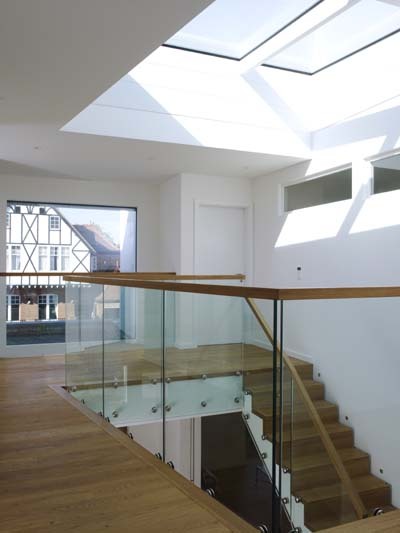 The house we designed for them has a flat roof and comprises extensive glazing to the rear. Inside our design focuses on open plan family living with a separate entertainment space leading out to the garden – the perfect family eco home for design lovers.